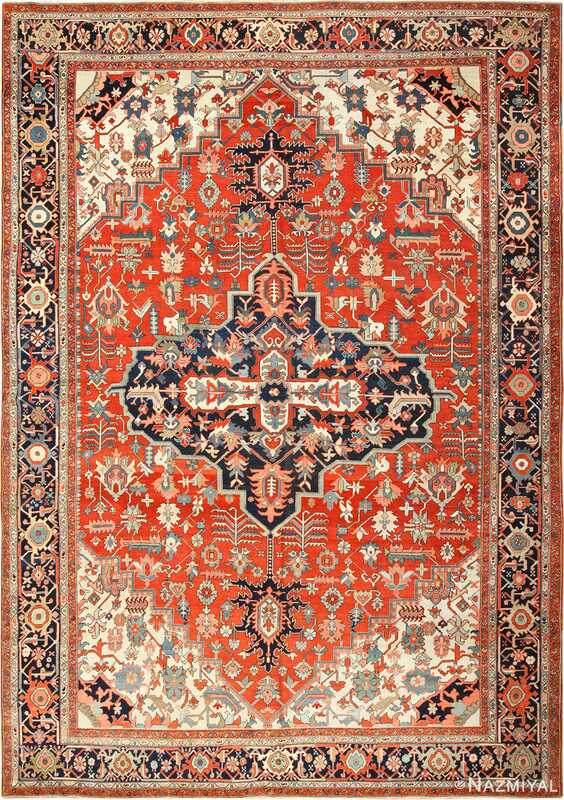 Beautiful Large Oriental Antique Persian Heriz Serapi Rug, Country of Origin / Rug Type: Persian Rug, Circa Date: 1900 – Strong colors and rigid forms are some of the most defining elements of the magnificent antique Persian Serapi rugs. 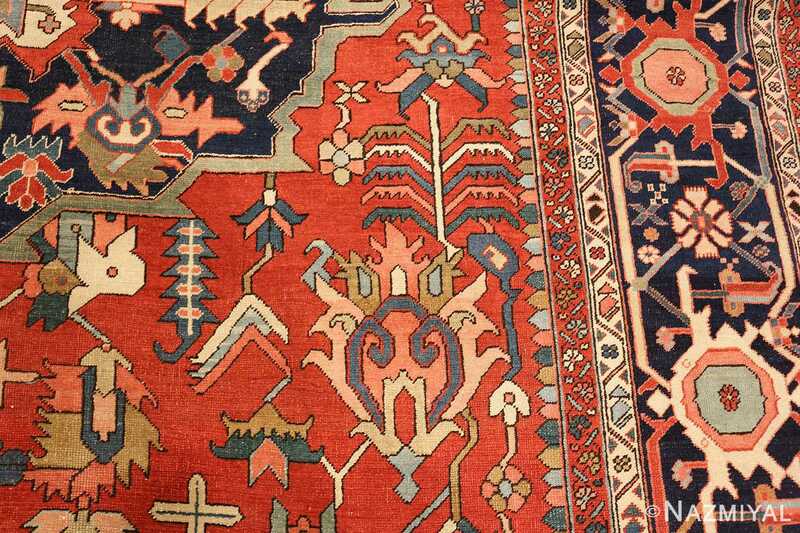 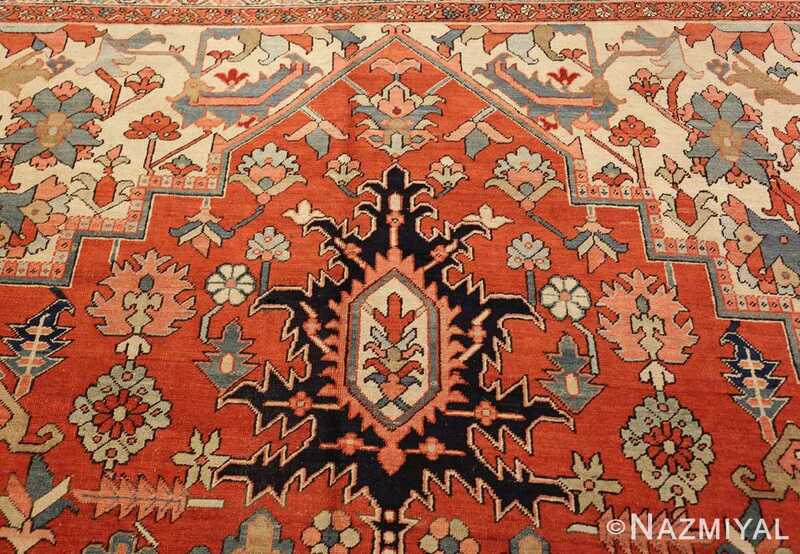 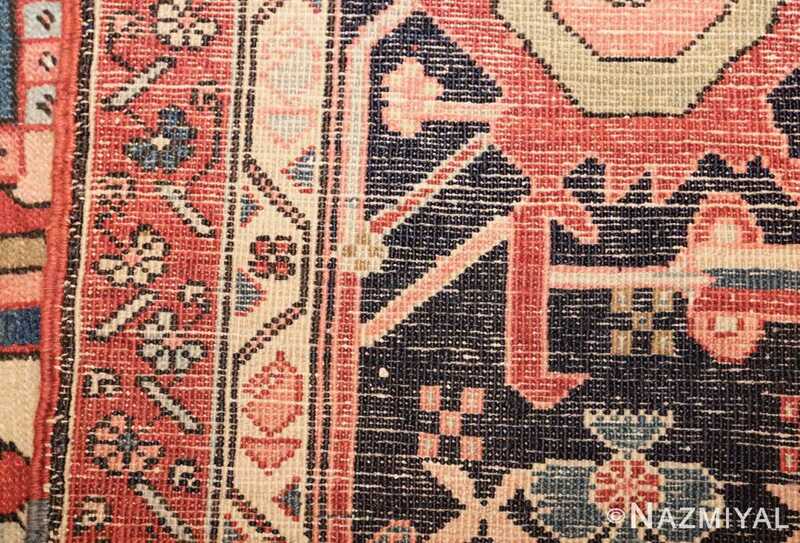 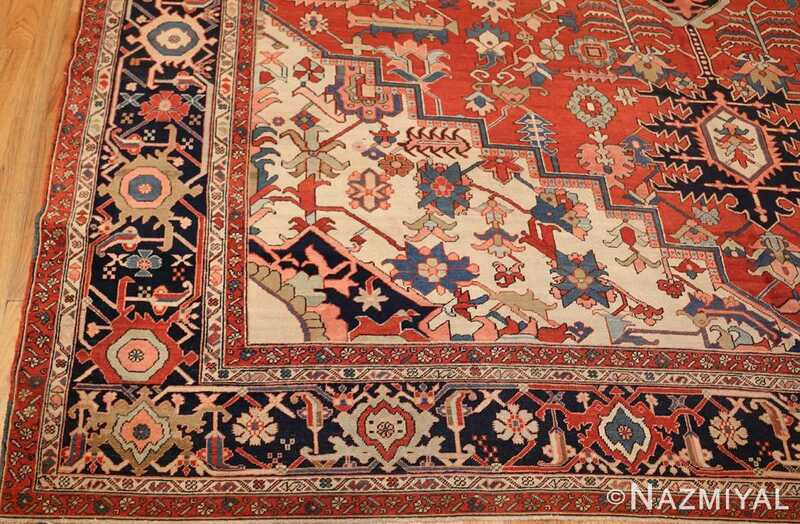 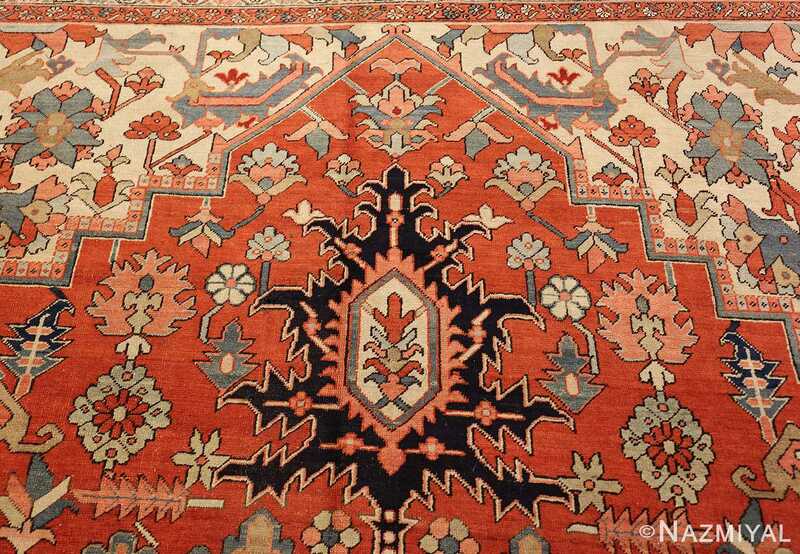 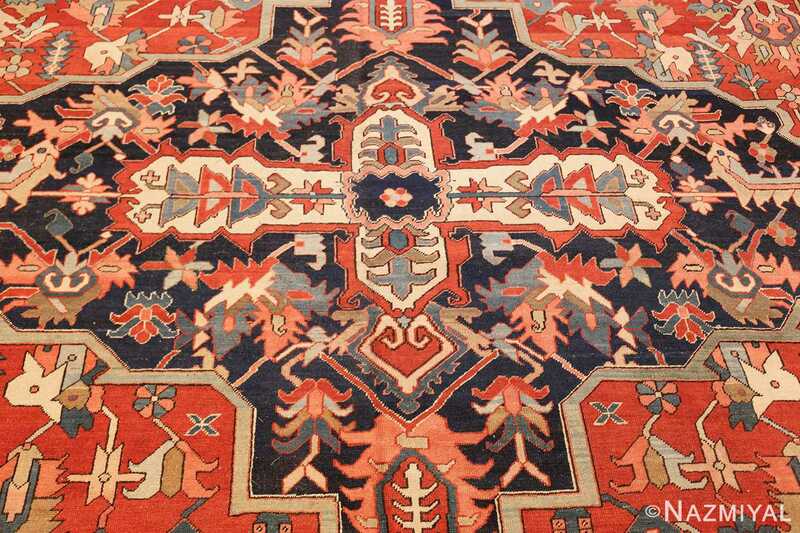 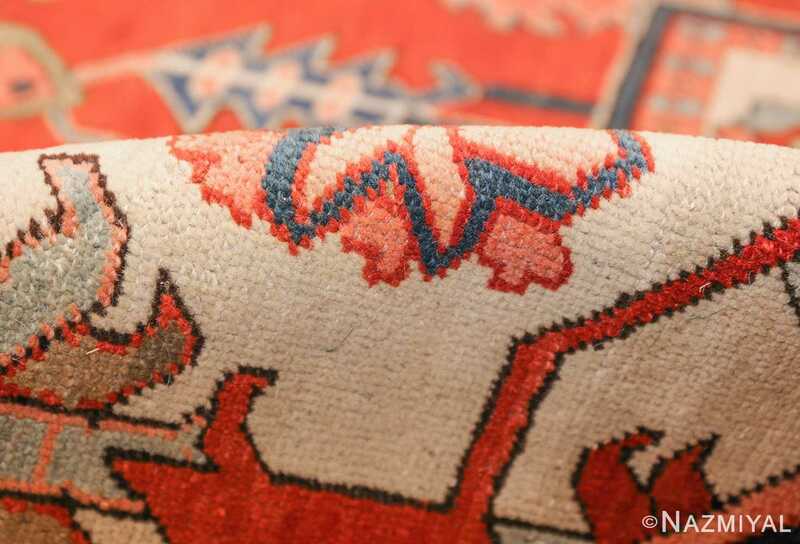 These brilliant antique Persian rugs are famous for their tribal designs, and the vast majority of them were developed during and before the early 20th century. 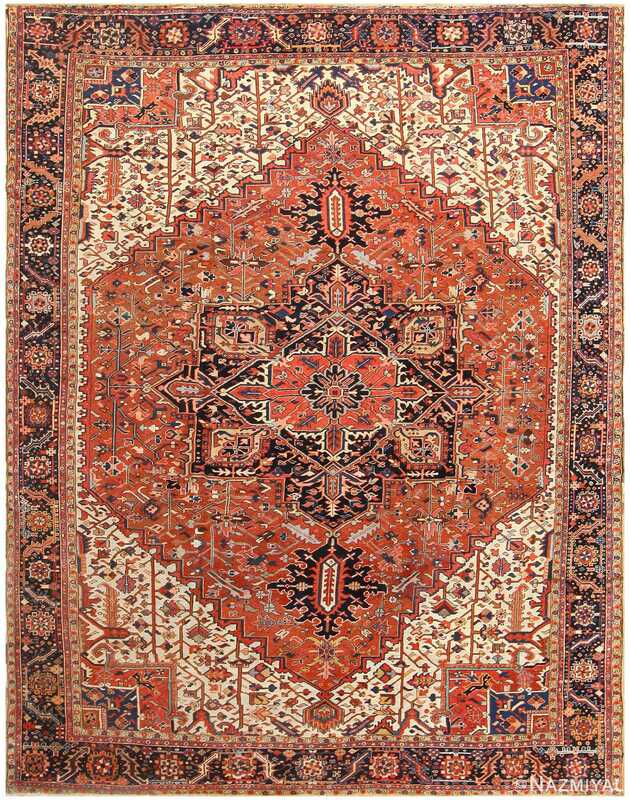 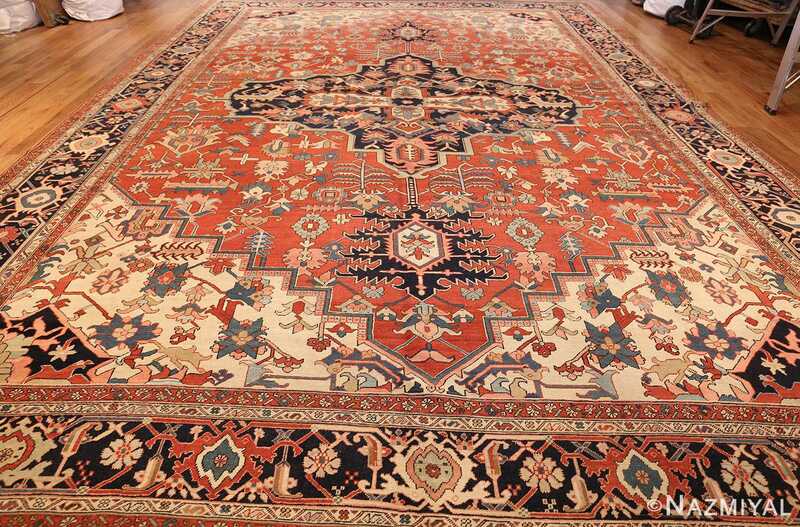 The Persian Serapi Heriz rugs rose to prominence for their incredible patterning, and this is one such representation of the fantastic style of antique Oriental rug weaving. 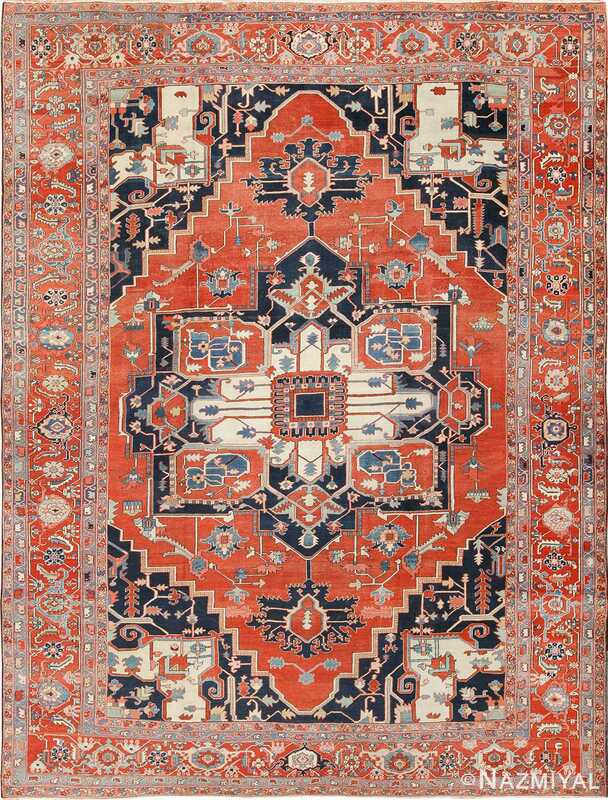 A single border surrounds the central field, itself surrounded by smaller, thinner borders that act as outlines to the colors within. 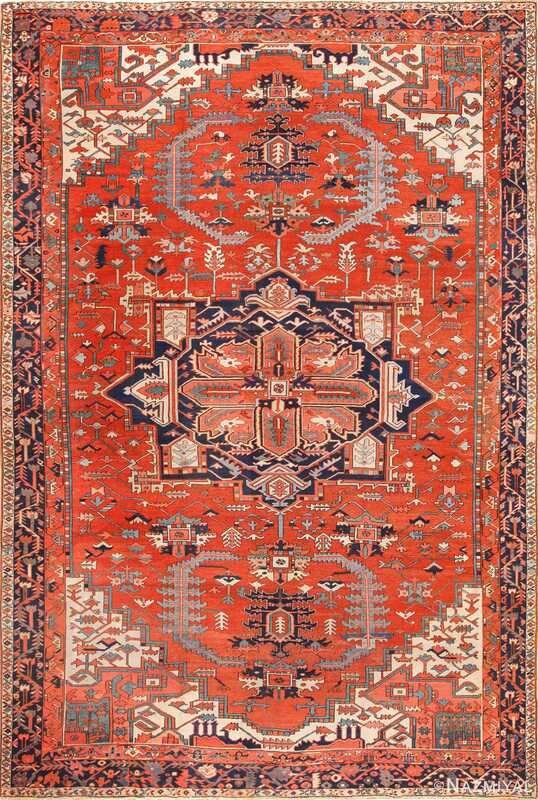 The pomegranate shape at the very heart of the large Oriental antique Persian Heriz Serapi rug is perfectly framed by the bright red landscape, the dark forms contrasting with the smaller, lighter elements scattered throughout the surface.